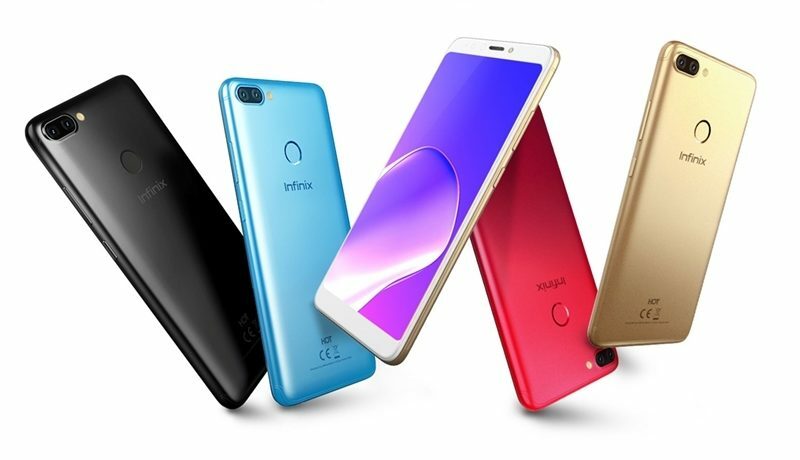 Infinix Mobile phone has finally launched their aspiring Smartphone device, which would be added to Hot series. Introducing to you is the Hot 6 pro smartphone with codename ‘Infinix X608’ which is definitely the successor to the Infinix Hot 5. Brace yourselves, the Infinix Hot 6 and Hot 6 Lite are coming pretty soon. According to a source, the Infinix Hot 6 and Hot 6 Lite might be ready sooner than expected. Their predecessors, the Hot 5 and Hot 5 Lite were such a huge success and still pretty much relevant at this moment. The phones were literally “hot cake” on shopping stores due to their price and value. Affordable smartphones that give true value for money, Infinix are definitely the king of midrange phones in this part of the world. Well, an update is coming, the Infinix Hot 6 and Hot 6 Lite are already in their production process. See what we know below. The Hot 6 and Hot 6 Lite are Infinix’s midrange smartphones, so there’s no dramatic upgrade in terms of design. Even though this is the last information the company will reveal, a plastic body is what is expected. Both the Infinix Hot 6 and Hot 6 Lite will come with a rear fingerprint scanner. The new smartphones are rumoured to sport a single rear camera at the top left just like the Hot S3. There won’t be much difference in terms of weight and thickness. Measuring about 9mm slim and weighing 188g overall. According to the source, the devices will be available in so many colours as well. The smartphones are expected to be bezel-less since the company already tried out the feature on the Hot S3. However, the trendy top-notch bezel-less design that flooded the 2018 MWC is out of the cards here. I don’t think Infinix will buy the Notch idea at all. The screen should be a bigger 5.7-inch bezel-less HD IPS LCD capacitive touchscreen. Boasting of 1440 x 720 pixels in resolution and a pixel per inch density less than 300. The screen to body ratio will exceed 75% according to the source. Under the hood of the Hot 6 and Hot 6 Lite will be a MediaTek chipset and 4-cores of a processor. however, Infinix might go for the more reliable Snapdragon processor as seen in the Hot S3 and S3 Pro. The Quad-core processor should be able to clock at 1.5 GHz this time around. The graphics processing unit will be a Mali or Adreno graphics processor handling everything graphics. The Hot 6 should come with 3GB RAM this time around, while the Hot 6 Lite will have 2GB of RAM. In terms of storage, the Hot 6 should boast a bigger 32GB internal storage, while Hot 6 Lite still has the same 16GB. Both should be expandable to 128GB and runs on Android 8.0 Oreo. Good camera is one of the reasons people buy a phone these days and the upcoming Infinix Hot 6 and Hot 6 Lite won’t disappoint in this regard. The pixels on the camera this time around will be 13MP with f/2.0 aperture and 1.0um pixel size. The camera on the Infinix Hot 6 and Hot 6 Lite will come with a dual-LED flash and be able to capture high-resolution images. Furthermore, the selfie camera is a 5MP shooter interpolated to 8MP with f/2.0 aperture as well. The Infinix Hot 6 and Hot 6 Lite are expected to be powered by a Non-Removable Li-Ion 4000mAh battery with fast charging technology.